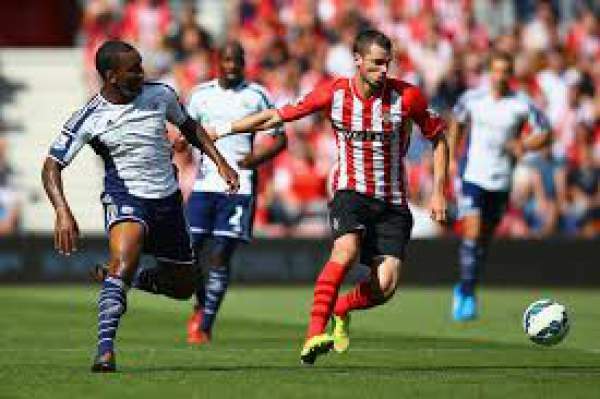 Southampton will play West Bromwich Albion at St. Mary’s Stadium for their game on the 19th match day of the Premier League. This will be Southampton’s last home game of 2016, and they would want to finish the year with a win. They are eight on the table with 24 points from 18 matches, three points below Everton and one point above West Brom Albion. On the other hand, we have WBA who are ninth on the table with 23 points from 18 games, one point above Watford. St Mary’s Stadium, Southampton, England. Southampton has won six games, drew six and lost six out of the 18 games they have played in the league till now. They have scored 18 goals and conceded 20 goals with Charlie Austin being the top scorer for them as he has scored six goals till now. They haven’t won their final game of the year since 2010. They played against Tottenham in their last game and conceded four goals for the first time since 1998. They hosted Tottenham at St. Mary’s and lost the game by 1-4 even though they scored first. Virgil Van Dijk 69 second goal gave the home side lead. But Tottenham made a comeback with Dele Alli scoring twice and Harry Kane & Son is scoring one each. West Bromwich Albion’s recent form in the league has been awful as they have lost three of their last four home games. They are just one point below Southampton on the table, and this game could change that. But West Bromwich Albion has lost their last two away games, at Chelsea and Arsenal. Forster, Fonte, van Dijk, Soares, Bertrand, Ward-Prowse, Romeu, Davis, Boufal, Redmond, Rodriguez. Foster, Dawson, Nyom, McAuley, Evans, Phillips, Chadli, Fletcher, Brunt, Yacob, Rondon. Southampton and West Bromwich Albion both needs a win to stay in the race for top five and needs a win here. Previous article‘Once Upon a Time’ Season 6 Episode 11 (S6E11) Spoilers, Promo, Air Date: Regina to revert to evil self?